Ukrainians and everyone else ... ssssh! Google appears to have sided with Vladimir Putin in the current sovereignty dispute over the Crimean Peninsula – at least as far as residents of Russia are concerned. 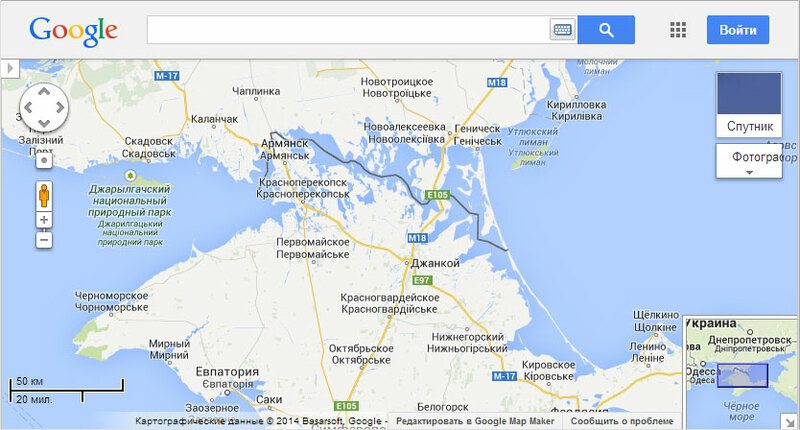 The online ad giant has made an update to its Google Maps of the region that denotes the border between Crimea and Ukraine as a bold, black line – seemingly indicating that we should no longer think of the peninsula as part of the Ukraine. 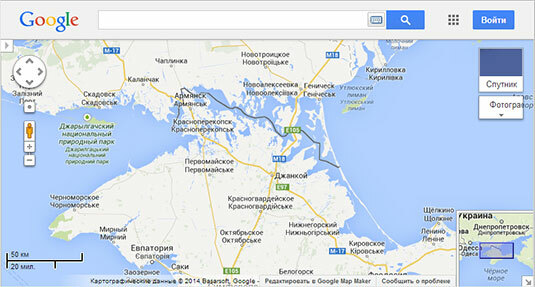 The catch is that the "corrected" map is only visible when you visit maps.google.ru. 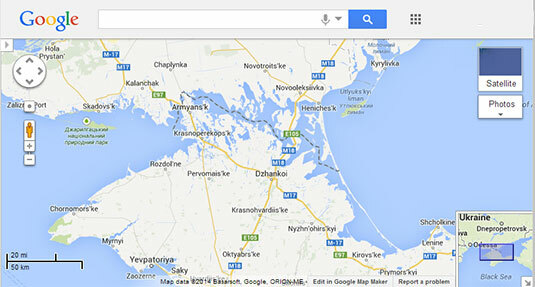 When you visit Google Maps from most other regions of the world, you'll see a different version of the same map, one in which the Crimea-Ukraine border is delineated with a bold but dotted line, indicating its disputed status. The Independent newspaper was the first to spot the change and suggested it was the result of direct pressure from the Putin administration. According to a report in the English-language Moscow Times newspaper in March, Anatoly Sidyakin, a politician in the lower house of the Russian Federal Assembly, asked the Federal Mass Media Inspection Service to "evaluate" foreign websites – including Google Maps, Bing Maps, and Wikipedia, among others – for labeling Crimea as disputed territory. At the time, Russian search engine Yandex had reportedly already "decided" to show Crimea as part of Russia for Russian visitors, although it still showed it as Ukrainian territory to Ukrainians. In the past, the Mass Media Inspection Service has blocked sites that contain what it deems objectionable material, including "calls for unsanctioned acts of protest," often without warning.